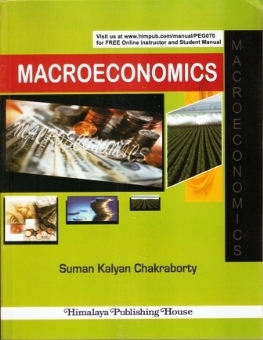 This book of Macroeconomics is a text book which systematically analyses several aspects of economic scenario in a proper theoretical and graphical manner. It is experience of author of this book that traditional text book carries bulk descriptions and heaps of data but limited analytical illustrations and consequently students loose interest in concerned subject matter. From long-term view point, it is harmful for advancement of concerned subject. Author have integrated macro concept and provides missing links of information to students which is a special feature of this book. This book is divided into 27 chapters dealing with issues confronting every economy. Treatment is exhaustive and has emphasized on analysis instead of mere decription of facts. Author believes that is will enhance utility of this book from the point of view of students and teachers. In identifying the potentials and pressure areas, relevant explanations have been provided to deal with various economic problems and also has suggested suitable remedies. 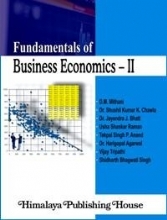 This book will be very helpful to every student of Economics of post-graduate level like M.A., M.Com., M.B.A., M.B.E., M.F.C. of all universities in India and abroad and in addition to that it will also help candidates preparing for UGC (NET), SLET, IAS, IES and allied services in all India as well as state level.